Recycled Plastic Wood | Recycled Plastic Lumber | recycled Plastic Timber Products | Kedel Ltd specialises in the design, development and retail of recycled plastic products, made exclusively from british recycled plastic. Recycled plastic lumber is a wood substitute that is commonly used in construction projects. It is beneficial as it a highly durable material. It is also has good properties that prevent easy damage from moisture, water, heat and pests. These are important qualities for building or construction materials. It works well especially when it is used to reinforce other materials such as fibreglass or fibre. One of the benefits of using recycled plastic lumber is that it helps to save timber resources. There are many advantages associated with adopting such practices. Cutting trees around communities greatly affect the beauty of the surroundings and landscapes. Woody plants which are commonly used to provide timber play a big role in adding beauty to sceneries. The use of recycled plastic lumber can be seen as an effort to minimize how rapidly trees are harvested which then helps to conserve the aesthetic value of the environment. Availability or the presence of trees in neighbourhoods provides a serene, pleasant and restful environment. This can be seen to boost how well people enjoy their community and surroundings. Saving trees by using other materials such as plastic lumber can be seen to have other kinds of communal benefits. When they are found in local neighbourhoods or peoples home, they provide a sense of privacy. They also help to make private compounds look fortified and well guarded. Instead of cutting down trees found in cities to get timber, other kind of building materials can be used. Trees found in cities and public areas are also beneficial. They give a sense of privacy, provide a cool shade, emphasize beautiful landscapes and sceneries and can also be used to block unwanted views. Engineers and architects use trees to soften backgrounds, enhance architecture and complement the surrounding. However, trees have the greatest impact on the environment. It is one of the reasons why other types of quality materials such as recycled plastic lumber should be used in building and construction projects. Trees are beneficial as they positively alter the quality of air and reduce the effects of environmental pollution. Using other construction materials instead of timber can help to conserve water and increase the amount of vegetation cover which serves as animal habitat. Saving trees also works positively in controlling the climate in a safe manner which helps to avert natural environmental disasters. They work positively to absorb radiant energy from the sun. This makes the earth a much cooler place and prevents the acceleration of harmful phenomenon such as global warming. Recycled plastic lumber, fibreglass and steel are quality construction materials that can help to prevent the fast rate at which trees are cut down. Another benefit associated with conserving trees is that they act as wind breakers. They also conserve water and moisture in the soil. The presence of trees also prevents heavy downward fall of rain which helps to conserve the good nature of soil. Using other kinds of construction materials such as recycled plastic lumber also known as recycled plastic wood can help to save trees which are commonly cut down to obtain timber. Recycled Plastic Lumber – The Best Substitute! Recycled plastic lumber is by far the best eco-friendly substitute over traditional building materials. It is produced entirely of unwanted and waste plastics and most exclusively made from 100% british recycled plastic. If we are going to put the uses of this material in perspective then we are going to have to have a long debate, not only over why this material is by far better for the environment, but more so because this material has a wide variety of advantages that help in proving it is a sustainable material. Recycled Plastic lumber is what it is, a recycled substitute to normal plastic only it can differentiate itself because it is sustainable and eco-friendly. Help improve the environment by purchasing recycled plastic lumber for your next building project and without a shadow of a doubt make recycled plastic wood your first choice! 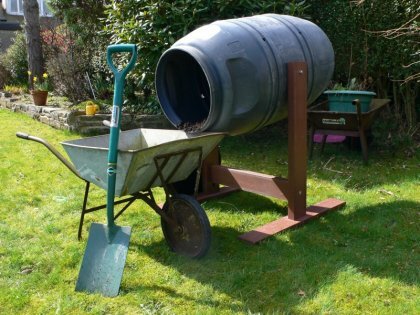 Place composter in a sunny position – 95˚F – 160˚F (35˚-71˚C). Best range: 122˚-130˚F (50˚-55˚C). 130˚-150˚F (55˚-65˚C) will kill seeds and pathogens, but do not go above these temperatures. 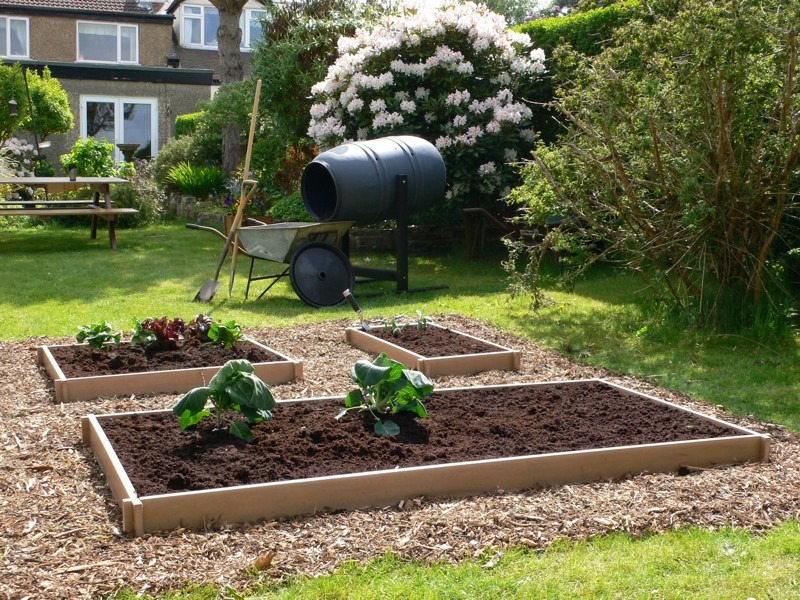 Add compostable materials – Use 1/3 green to 2/3 brown to ensure a good finished product. Add a handful of fresh topsoil to bring in new microbes. Special accelerates may be used but follow manufacturers instructions carefully. Best to fill ‘The Compost Creator“ half way, and definitely not more than 2/3 full, as this reduces aeration and kills important microbes. Tumble ‘The Compost Creator’ once a week and whenever you add more. The contents should all turn brown, moist and soil-like, and have an earthy smell in about 2-4 weeks ready to put on your plants or vegetables. What if your composting doesn’t seem to be working? Could be too full – Remove some material, add some soil and turn several times. Heck temperature – Too cold? Move to a sunnier place or cover barrel with insulating material. Too hot? Move to a cool, shady, breezier area. If nothing works – empty bin and start off again with step 1, mixing old and new materials. Recycled plastic garden planters allow you to get creative in your garden. The best thing about recycled plastic garden planters is they are resistant to all kinds are elemental attack and they are rot free. These planters will literally last you a lifetime. They are extremely robust and very easy to clean if necessary. One other unique feature of recycled plastic is that it doesn’t have the detrimental effect on the soil unlike its wood counterparts. 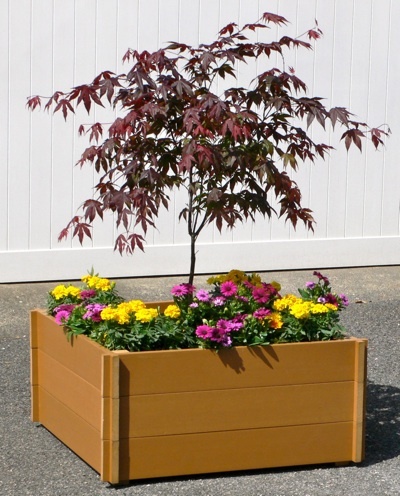 In wooden planters, preservatives used on the wood can leech into the soil and can affect the very plants and flowers themselves. Is Recycled Plastic The Ideal Material For Compost bins. These days compost bins and compost tumblers can be manufactured from recycled plastic. Recycled plastic has huge beneficial properties. Can be made into a number of bespoke designs. These designs can further increase productivity of your composting. Can be pre-packed with easy to assemble instructions, so it can be relocated very easily. The compost heap is enclosed. This allows for good heating and free movement with the tumbler or bin. In bins and tumblers the lids can be securely fastened. Moisture is retained with it very easily. It also helps to keep out rain water when it isn’t needed. Most importantly, recycled plastic is highly resistant, robust and free of maintenance. They can last a lifetime. Great reasons to buy a compost tumbler.